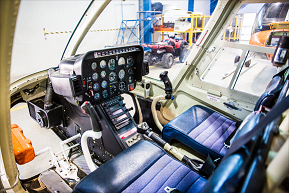 The Bell 407 integrates reliability, speed, performance, and maneuverability. Its Rolls Royce 250-C47B turbine FADEC engine delivers exceptional hot & high performance with the ability to cruise at 140 knots (259 km/hr). It also provides a very quiet and smooth ride in virtually all weather conditions. 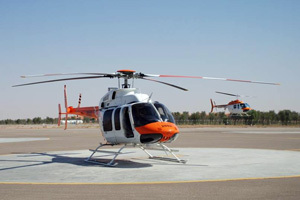 Tough and reliable, the Bell 206B3 has one of the best safety records is one of the most popular turbine helicopter of all time. The Jet ranger also has great autorotational characteristics and collective mounted throttle. 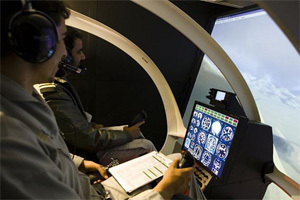 The Simulator is a two place, side-by-side seating cockpit with a complete instrument panel is provided for visual and instrument training. 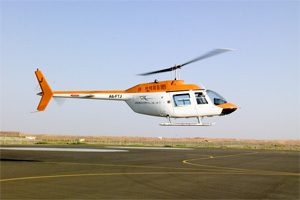 The software provides an accurate flight model including translational lift, ground effect, torque, auto-rotation, etc. Over 24,000 airports and all navigation aids are available.